Charger II-CB | Ray-Man, Inc. The Charger II-CB Belt-Discharge Tender is designed for multiple uses. 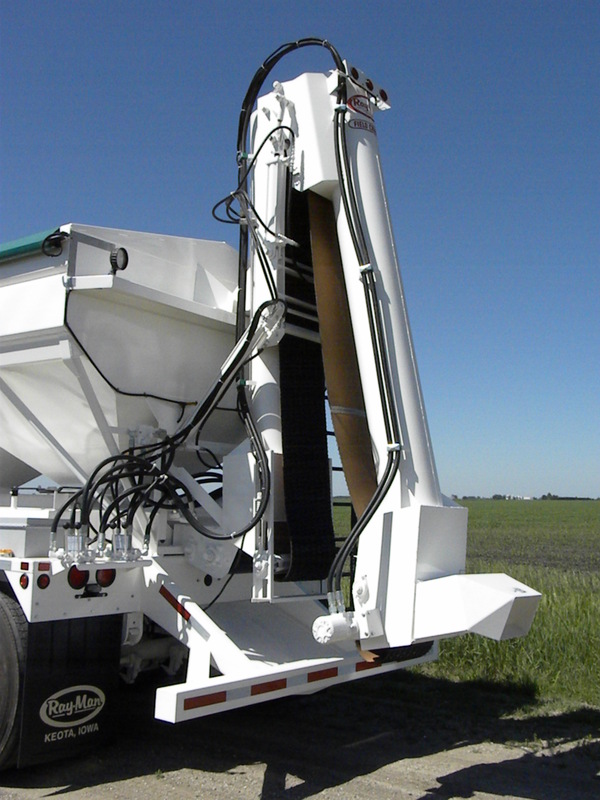 The tandem conveyor system can be used to transfer fertilizer or grain and is gentle enough to handle seed. 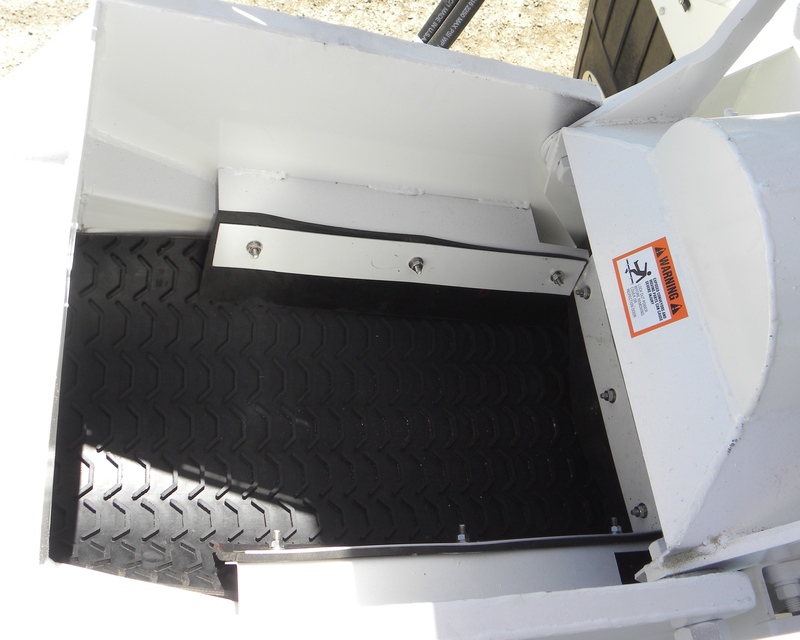 The simple design of the rear-folding discharge conveyor makes it easy to operate. The 20’ discharge conveyor is extended with hydraulic cylinders and raised into the desired unloading height. The Charger II-CB will unload fertilizer at a rate of 2,000 pounds per minute or seed at 29 bushels per minute.